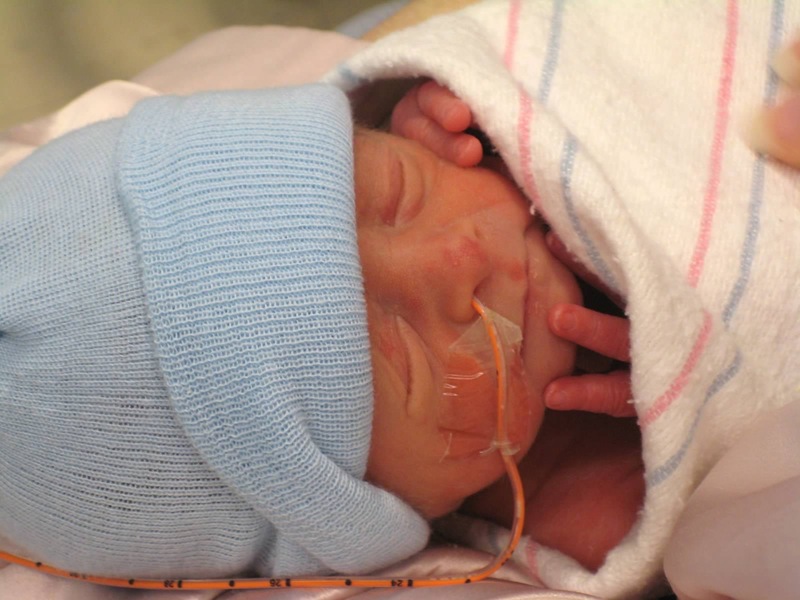 In our January edition of our Preemie Family newsletter we learned about Grayson Kapferer, who was born at 34 weeks, weighed in at 2 lbs 14 oz. and was in the NICU for 7 days before passing away. Read more in an update by his mother, Laurel and learn more about Team Grayson. On February 7th our son Grayson was born at 34 weeks gestation via an emergency C-section. 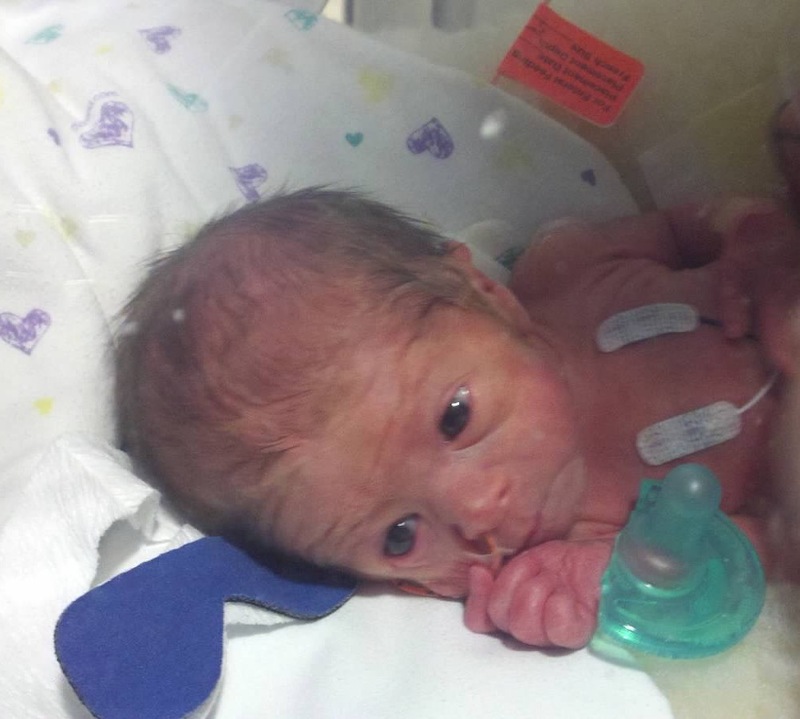 Grayson was growth restricted weighing only 2lbs 14 oz. He was able to breath on his own from the moment he was born. We held him every opportunity we had, as the NICU had a very strict schedule of when we could have physical contact with him. At the time it was very hard and frustrating not being able to hold him whenever we wanted to. Now we understand that his body needed to save his energy to heal. Grayson was doing well until day 6 of his life. We received a call that his condition had changed. Grayson had been diagnosed with Necrotizing Enterocolitis (NEC). He was taken to Boston Children’s Hospital. They tried very hard to save him, but in the end Grayson passed away less than 24 hours after being diagnosed with NEC. We feel fortunate everyday that we were able to spend 7 days with our son and that he passed away in our arms surrounded by family and love. Grayson passed away on Valentine’s Day, which is fitting because he brought so much love into this world . He continues to touch the hearts of others every day. Abraham Lincoln once said, “And in the end it is not the years in your life that count, it’s the life in your years.” Grayson lived so much life in his 7 days that it continues on even now. Since Grayson’s passing we have started a non-profit organization called Team Grayson. Our ultimate goal is to end Necrotizing Enterocolitis (NEC). We recently released a documentary on Vimeo called Grayson. Our hope is to raise awareness of (NEC) and to give others hope. In August of 2013 our son Blake was born at 37 weeks. He was in the NICU for 6 days and all of Grayson’s nurses and doctors went out of their way to be the ones taking care of him. Today Blake is a happy, healthy 16-month old. I am lost for words my heart truy goes out to you family …. you guys are so strong as a mom of a 23weeker idk what i will do if anything happens to my baby boy ! May god continue to bless tou abd your family !!! You guys are doing such awedome things to help babies with nec !!!! Godbless you all!! !